This is a polish I recently bought off Ebay and hadn't got around to trying. 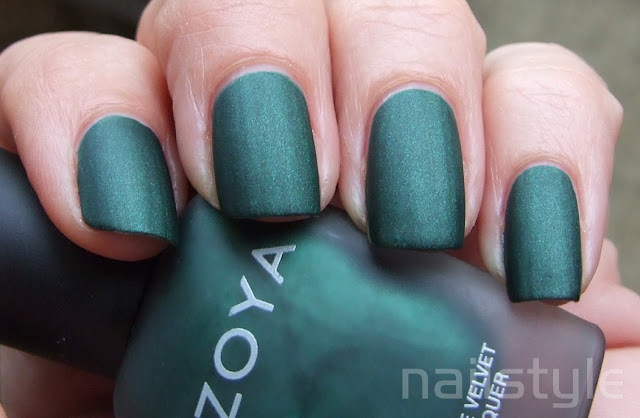 Veruschka is a rich forest green with a matte finish. And when Zoya says matte velvet they aren't kidding. 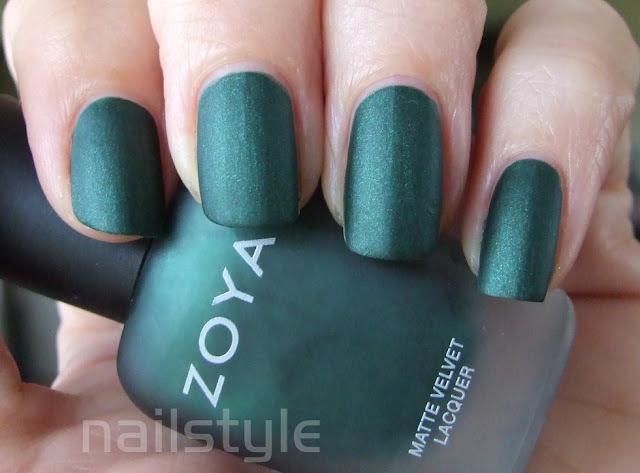 The formula is amazing to apply, opaque in two coats and effortless to get even. I stamped this with China Glaze 2030 and it didn't go as well as I would have liked . . . perhaps this is because I was stamping on a matte finish. The stamping polish just didn't want to stick to the base coat. I don't know, it's not something I've done before. Anyway it turned out ok, I think. Can't decide if I want to make it matte of not . . . ! it looks royal - love it! Jenna, "royal" is a perfect description. I thought all the costumes from The Tudors. Love it! 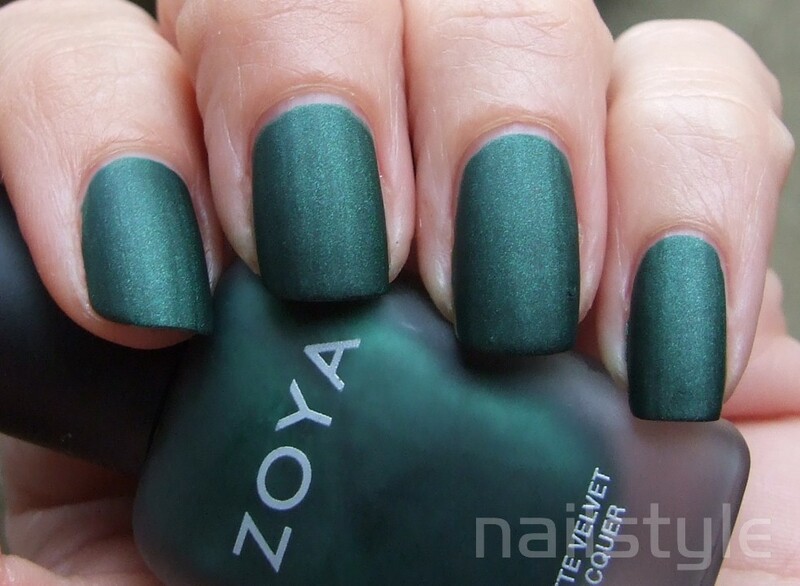 I just bought this color myself! It looks really pretty! I love the stamping too. @misaya - your swatches were lovely!